On January 22, 2010, Nobel laureate John F. Nash, Jr. visited Deutsche Telekom Laboratories in Berlin to give a speech on his famous research on game theory. He also discussed his work with scientists from various German universities and research institutes at a questions and answers session afterwards. He was greeted by Christopher Schläffer, Group Product & Innovation Officer of Deutsche Telekom, who lauded his work for its disruptive impact on economics. Professor Nash is a distinguished mathematician who works in game theory and differential geometry at Princeton University. He shared the 1994 Nobel Prize for economics with two other game theorists, Reinhard Selten and John Harsanyi. A number of scientists at Deutsche Telekom Laboratories utilize the findings of Prof. Nash to find solutions for issues that are relevant for a telecommunications service provider and network operator such as Deutsche Telekom. For instance, it is being applied in the analysis of interference management in wireless networks, in IT risk management and in network protocol development. 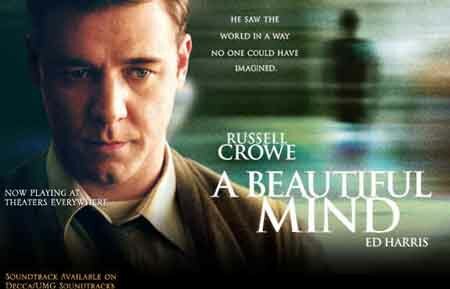 เกร็ดตวามรู้เกี่ยวกับตัวตนของแนช อันเป็นที่มาของหนังสือและภาพยนตร์ "A Beautiful Mind" ที่นพมาส แววหงส์ ผู้แปลถึงกับหงุดหงิดใจ เมื่อไม่สามารถใช้ชื่อหนังสือเป็นภาษาไทย "จิตประภัสสร"
-ระหว่างที่แนชศึกษาอยู่ที่ Princeton University เพื่อนๆถามเขาเสมอว่า "ทำไมไม่ค่อยเข้าฟังการบรรยายของอาจารย์เลย" แนชบอกว่า "ประเทศกำลังต้องการความคิดและทฤษฏีใหม่ๆ เพื่อนำไปแข่งขันกับรัสเซีย การเข้าฟังการบรรยายของอาจารย์เกรงว่า ความคิดของอาจารย์จะครอบงำความคิดของเขา กระทั่งเป็นอุปสรรคต่อการค้นพบทฤษฏีใหม่ๆที่เป็นโยชน์ต่อประเทศ"
-หลังจากแนชสำเร็จการศึกษาและทำงานได้เพียง ๓ ปี แนชกลับโชคร้าย แนชป่วยด้วย โรคจิตเภท [Schizophrenia] ซึ่งแนชกล่าวถึงชีวิตของเขา ระหว่างการรับรางวัลโนเบลว่า "สิ่งที่เขาสงสารตัวตนชีวิตของเขามากที่สุด ก็คือการที่เขาไม่สามารถรับรู้ได้เลยว่าเหตุการณ์ต่างๆที่เกิดขึ้นตลอดชั่วชีวิตของเขา มันเป็นภาพหลอนหรือความจริง แม้กระทั่งการได้รับรางวัลนี้"
รัฐบาลสหรัฐได้เสนอผลงานของแนชเข้าชิงรางวัลโนเบล และได้รับรางวัลโนเบลสาขาเศรษฐศาสตร์ในปี 1994 [Nobel Prize in Economics ] แนชกล่าวสุนทรพจน์สั้นๆขณะขึ้นรับรางวัลโนเบล "ตลอดชั่วชีวิตของผมเชื่อในตรรกะและคณิตศาสตร์ ชีวิตของผมต้องเผชิญกับสิ่งที่รบกวนตัวตนของผมมาตลอด และที่เลวร้ายที่สุดในชีวิตของผมก็คือสภาพที่ ผมไม่สามารถรับรู้ได้เลยว่าเหตุการณ์ต่างๆที่เกิดขึ้นตลอดชั่วชีวิตของผมมันเป็นภาพหลอนหรือความจริง แม้กระทั่งการขึ้นรับรางวัลนี้ แต่เหนือสิ่งอื่นใดในชีวิตของผมคือภรรยาของผม"
นี่คงไม่ถึงเศษเสี้ยวความงดงามในตัวตนของแนช "A Beautiful Mind" ที่ นพมาส แววหงส์ ผู้แปลสำผัสได้ "จิตประภัสสร"
29 มกราคม 2559 07:52 น. "ประเทศกำลังต้องการความคิดและทฤษฏีใหม่ๆ เพื่อนำไปแข่งขันกับรัสเซีย การเข้าฟังการบรรยายของอาจารย์เกรงว่า ความคิดของอาจารย์จะครอบงำความคิดของเขา กระทั่งเป็นอุปสรรคต่อการค้นพบทฤษฏีใหม่ๆที่เป็นโยชน์ต่อประเทศ"
John Nash นั้น ถือได้ว่าเป็นอัจฉริยะจริงๆ เพราะเขาจบปริญญาเอกขณะที่อายุเพียง 22 ปี ในปี ค.ศ.1950 และวิทยานิพนธ์ของเขานั้น มีความยาวเพียง 27 หน้า และวิทยานิพนธ์ดังกล่าว คือสาเหตุที่ทำให้เขาได้รับรางวัลโนเบลเมื่อปี 1994 อาจารย์ของ Nash สมัยที่เรียนจบปริญญาตรีเขียน Letter of Recommendation สั้นๆ เพียงประโยคเดียว (แต่ทำให้เขาได้เรียนต่อและจบปริญญาเอกที่ Princeton) คือ "This man is a genius"
A Beautiful Mind (film)The story begins in the early years of Nash's life at Princeton University as he develops his "original idea" that will revolutionize the world of mathematics. Later, Nash develops schizophrenia and endures paranoid and delusional episodes while painfully watching.. In game theory, the Nash equilibrium (named after John Forbes Nash, who proposed it) is a solution concept of a game involving two or more players, in which no player has anything to gain by changing only his or her own strategy unilaterally. 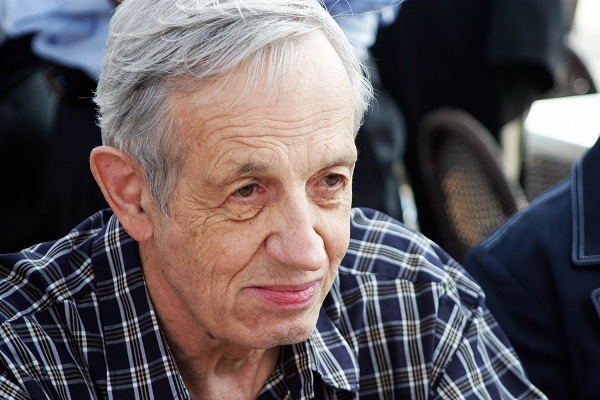 On June 13, 1928, John Forbes Nash was born in the Appalachian city of Bluefield, West Virginia,son of John Nash Sr., an electrical engineer and graduate of Texas A&M University, and Virginia Martin, a teacher of English and sometimes Latin. When buying jackets, people will want that they will last them for years, but in few cases that will happen. But the north face sale jackets are the exception to this and you will be very happy with the way that they will remain over time. For buying them, you can always check the online stores. Some websites will also get to be scams and that is why I am recommending you to check out only those that are well reputed. Also, taking your north face sales and off you is fairly easy. It also has zippers, reinforced shoulders, elbows and also chest, so it seems that they are abrasion resistant. You don't want to be blindly fumbling through a cluttered purse or briefcase for your stun gun should you encounter danger,When perfect north face jackets on sale good quality promise shopping for a stun gun, your best bet will likely be to turn to an online security or self defense products dealer on the Internet where you will find a wide selection, informative product descriptions, and competitive pricing. You don't want to be blindly fumbling through a cluttered purse or briefcase for your stun gun should you encounter danger,When shopping for a stun gun, your best good north face jackets clearance hot sale bet will likely be to turn to an online security or self defense products dealer on the Internet where you will find a wide selection, informative product descriptions, and competitive pricing. The earliest model of all the way down coat is a north face coats for women All the way down Coat. A northface coats is actually a strong consignments parka empowered using a traditional style and design. discount north face which includes a easily removed pretend dog\'s hair extrenal cover, the following down-filled coat assurances to prevent you actually heated while in the coldest with winters. A McMurdo Parka\'s all the way down is definitely included in HyVent north face jackets breathable seed covering. There are six outer plus insides openings, like your waters flask bank, baseball glove areas plus an interior media channels bank.